Sean O'Connor the owner of O'C Satellite, Inc. does each and every installation himself. Sean has a degree in Electrical Engineering Technology from Vermont Technical College & has been installing satellite systems since 1987. 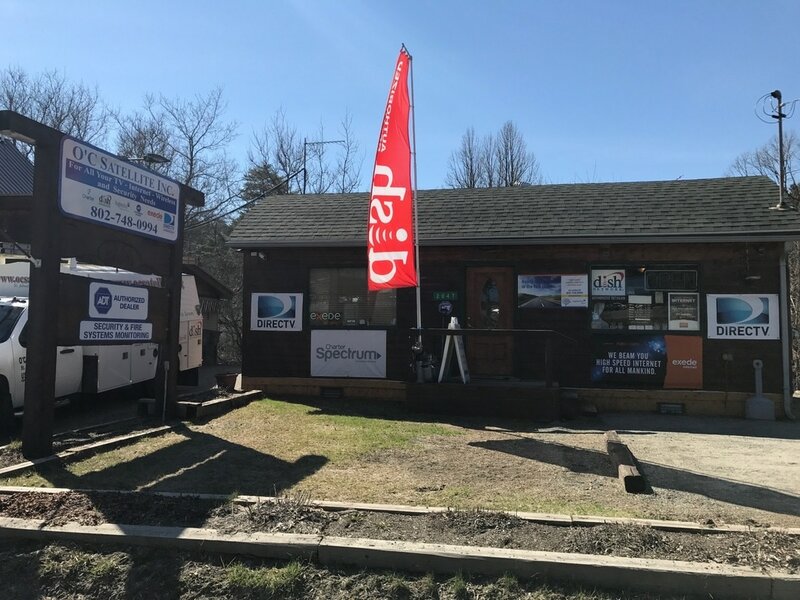 We have a local store front, with a very knowledgeable staff, that undergoes constant training to stay on top of the services and technology that we provide. Our Owner/Installer, Sean, takes great pride in the work he does and will make sure each and every install is done to the satisfaction of you, the customer. We guarantee you'll be happier with O'C Satellite, Inc. "Your Local Dealer", instead of the stranger you'll get coming out to your house if you dial the 800 #. Give us a call or stop by, we are here to help and look forward to seeing you in our office.